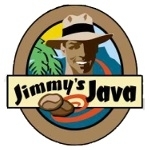 Jimmy’s Java, Inc. of Cape Coral, FL awarded first coffee process patent since 1985, Jimmy's Java Cold Brew Espresso. Cape Coral, FL, January 16, 2019 --(PR.com)-- Jimmy’s Java, Inc. announced immediate availability of their patented Cold Brew Espresso both online and at local retailers throughout Southern Florida. “We have pioneered a process that delivers the world’s best tasting Cold Brew Espresso while cutting production costs in half over traditional cold brewing methods,” said Jimmy Java, Founder and Spokesman for Jimmy’s Java, Inc.
An uncompromising taste coupled with our Retail Price Guarantee makes Jimmy’s Cold Brew Espresso an easy choice for retailers ranging from Whole Foods Markets down to single store markets such as Bailey’s General Store, Sanibel Island. Jimmy’s Java Cold Brew Espresso is available to wholesale accounts throughout Florida and online for retail sales at www.coldbrewespresso.com. Jimmy’s Java is aggressively seeking to license Distributor/Manufacturers nationwide to increase supply and delivery options for their customers. Contact Jimmy at jimmy@jimmysjava.com for more information about Distribution opportunities. Founded in 2002, Jimmy’s Java, Inc. is an innovative leader in the coffee beverage industry. The company offers a wide range of products and services designed to enhance the coffee lover’s experience. Jimmy’s Java, Inc., Jimmy’s Java Cold Brew Espresso and Cold Brew Espresso are either registered trademarks or trademarks of Jimmy’s Java, Inc., in the United States and/or other countries. Click here to view the list of recent Press Releases from Jimmy's Java, Inc.